Often, the things that were hardest in our lives, those times we wondered why me? Those moments we wouldn’t wish on anyone in the world. Often, these moments become defining features of who we are. They are “the adversity we overcame” to make the life we live possible today. For many people, the traumas of life turn to the grit of perseverance. And I think for the Jewish people, as a people, we have done this. It is a joke truer on Purim than most holidays: They tried to kill us, we won, let’s eat! But Purim I think is a prime example of turning trauma into perseverance. Purim remembers a time of baseless hatred and true scapegoating. Haman decided all the Jews should die because he felt disrespected by Mordechai. Esther overcame fear and adversity to save her people and, ultimately, we dress in costumes and become intoxicated to remember the topsy-turvy world that allowed us to turn a death sentence into one of celebration. What allows us to come to laugh at our tragedies? Is it as simple as “I had to laugh?” Or, “What other have”? We sometimes joke that Jews are the ever-dying people. Whether from our history of being a persecuted people; or generations of Pew studies, we always have a way to look at Judaism as if we are the last generation. But here we are, in 2018, in many ways more powerful than at any point in history, with equality of access in America, a strong State and Army in Israel. We have succeeded beyond our ancestors’ wildest dreams. Yet our Pew studies and synagogue statistics will tell you we are on the verge of dying out (in this case assimilating out, where the Judaism is not relevant to Jewish people’s lives). (But I wonder, if like the defining traumas of our youth, those experiences that helped form you into the person you are today.) Perhaps it’s these traumas of our Jewish History that make Jews what we are, too. For generations, diasporic living Jews hunkered down in their isolated communities and prayed for fair leaders and a return to Zion. But during that time, they also creatively explored Jewish law, learning how to live in the world around them. They communicated with Jewish communities around the world sharing interpretations of scripture and law. This continual learning, and interpreting, codifying and re-codifying is a defining feature of Judaism. While most came from small municipalities, the rulings of individual Rabbis went global. (Think of the impact of Rashi, the 11th Century French commentator whose interpretation and questions accompany every traditional copy of the Torah and Talmud; or Rambam, Maimonides, the 12th Century Spanish Egyptian doctor who wrote the first codes of Jewish law, and some of our greatest philosophy. These teachers’ ideas had truly global impact, yet each dealt with the communal traumas of their times. Under the persecution of the world, Jews rose to the occasion and developed intricate, meaningful ritual, theology, philosophy and spirituality. Today, under freedom from persecution, we worry whether it will all slip away. I surely hope we do not need trauma to survive. So, what will the grit of our ancestors lead us to in this time of abounding freedom? I believe our rich history will show that the diversity of ideas is our strength. Given freedom, there will always be some who choose more connection, and some who choose less connection. 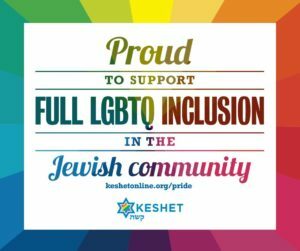 Enabling all to feel authentic, strengthening our institutions to be open to more right choices, allowing that this and that are both Jewish. Institutionalization may lose Jews along the way, but the Jewish people will be strong because of our diversity of ways. A diversity of ways to live as Jews, and a diversity of ways to cope with adversity. Together, these all make the Jewish community stronger. As we dress up and act silly and celebrate the craziness that is Purim, I hope you can be inspired to turn your points of mourning into dancing, and strengthen yourself through community.